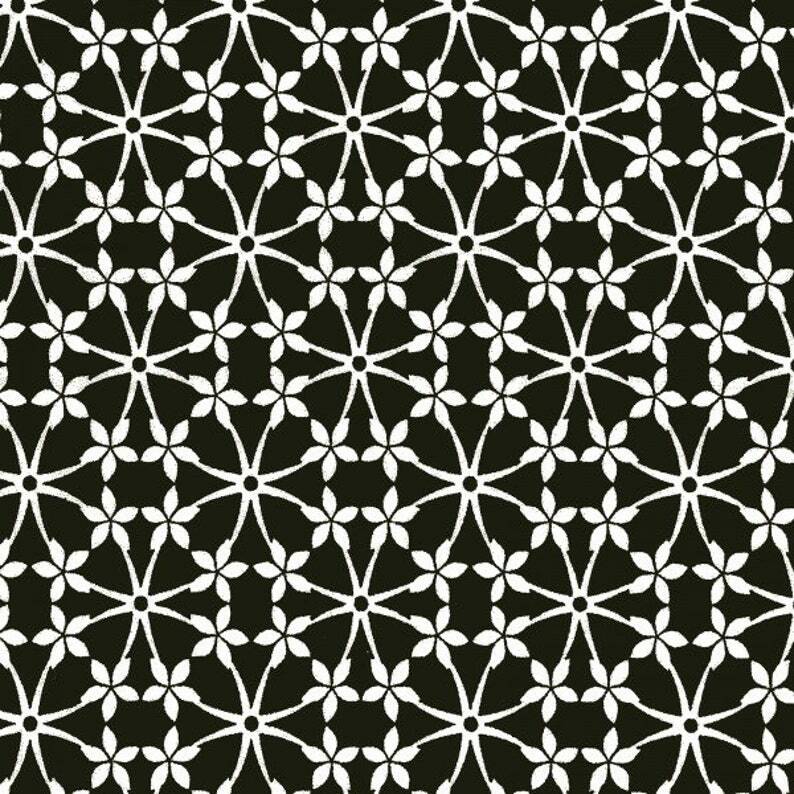 Fine organic Poplin - Fleur de noir by C. Paul with white flowers on black. please contract me if you wish to get a specific length. Please choose 2 for a whole meter/yard.